Whip + Click • Photographer Evi Abeler creates striking, minimalist images of seasonal dishes made by her blogging partner, pastry chef Albane Sharrard. In her Harlem, New York, studio, she takes a DIY approach to styling, using hand-dyed linens, say, or repurposing salvaged wooden flower boxes as stands. 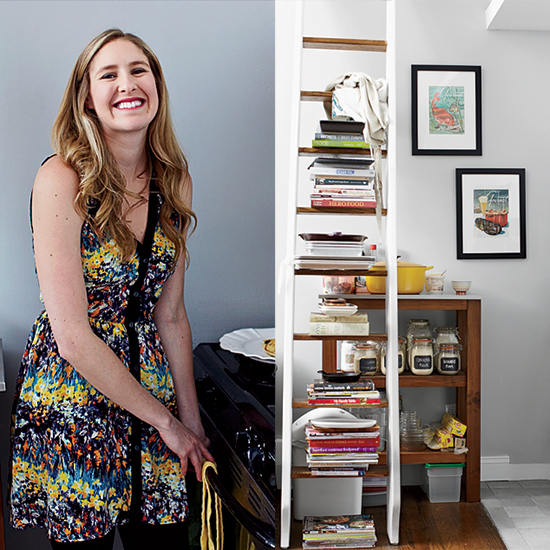 "If you make your own things, you know you won't see them someplace else," she says. Her favorite prop is her "magic" fork. "It's vintage, with a beautiful patina and simple shape. Can't get a picture right? Use the magic fork." 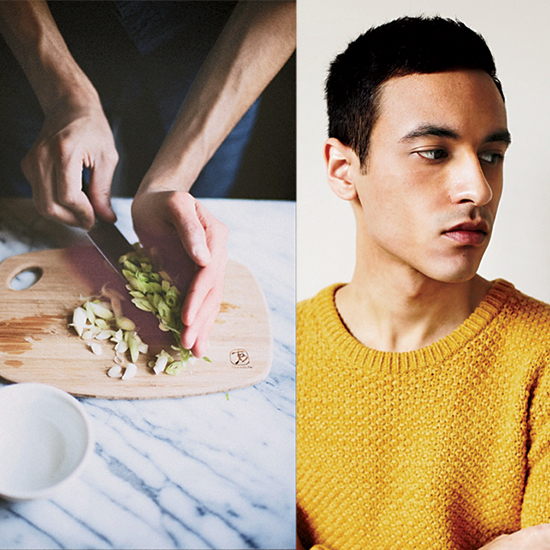 Matt Bites • Former Whole Foods art director Matt Armendariz has become a mentor to other bloggers: His book, Focus on Food Photography for Bloggers, is a bible for people who want to learn how to light, style and shoot without professional equipment. 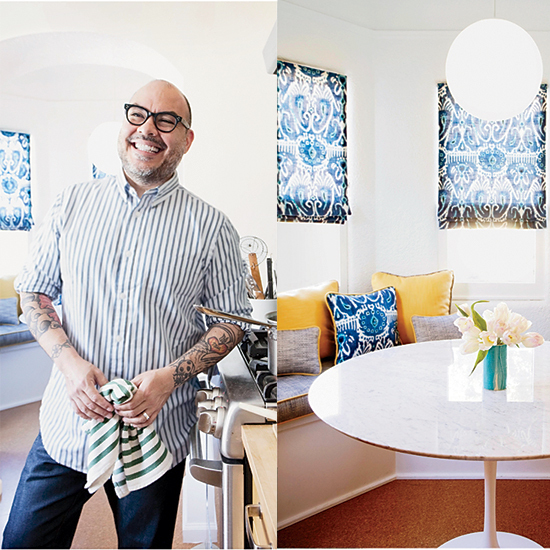 Although he has become a sought-after speaker and photographer, Armendariz (pictured in his Long Beach, California, kitchen) still updates Matt Bites with exuberant posts. His easy, West Coast–influenced recipes, like a salad with orange and deep-purple carrots and magenta brussels sprouts, reveal his preferred color palette: "Jewel tones!" Chantelle Grady • Australian graphic designer–turned–photographer Chantelle Grady is a master at creating moody food images, often shooting extreme close-ups that let you, for instance, see the drops of juice on a sugar-coated strawberry. She also pairs her images with homey recipes, like the buttermilk scones she tops with those strawberries, using typography to evoke the look of an old cookbook. Her inspiration: "I love to wander thrift stores, especially The Salvation Army; it's a gold mine," she says. 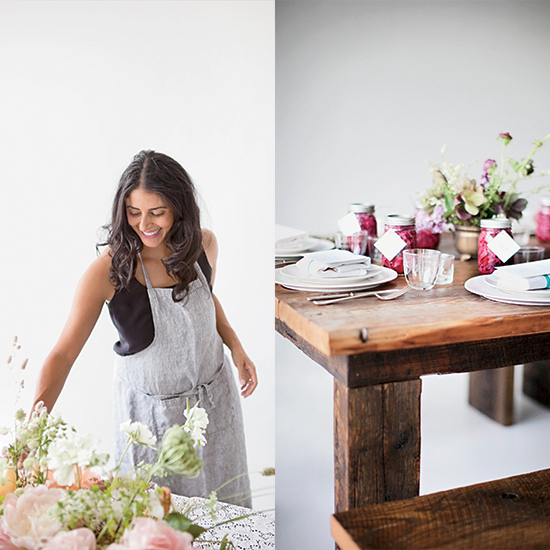 Sunday Suppers • Food stylist and photographer Karen Mordechai's blog revolves around the brilliant series of classes and dinners she co-hosts in a Brooklyn waterfront studio. 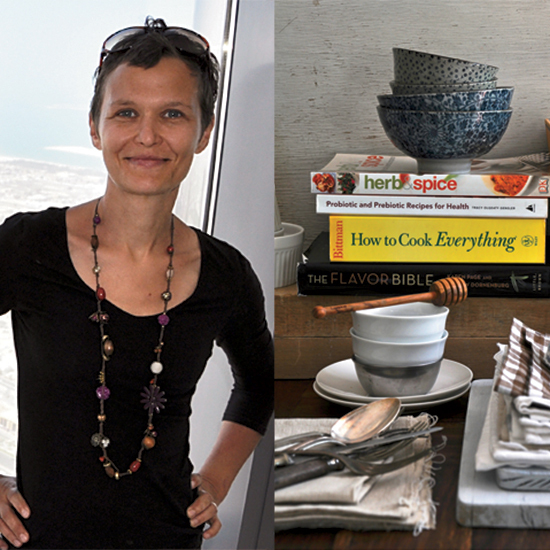 Karen invites a cookbook author (like blogger Béa Peltre of La Tartine Gourmande) or chef (like Top Chef alum Camille Becerra) to prepare a meal and share the recipes; she then styles the dinners as she would a photo shoot, choosing table settings that work beautifully with the food. 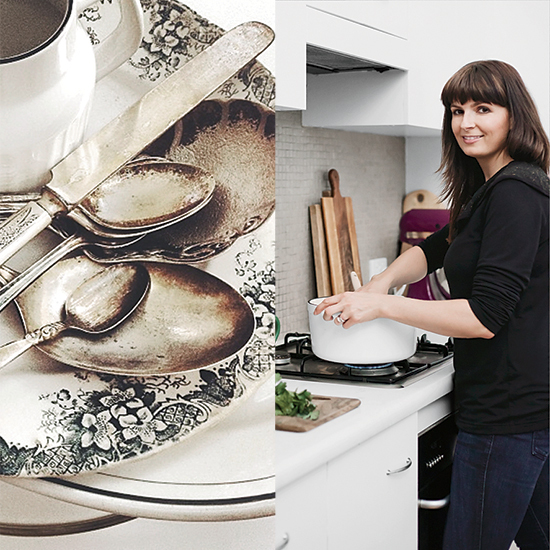 "Sitting at a dining table for hours is one of my favorite pastimes," she says. 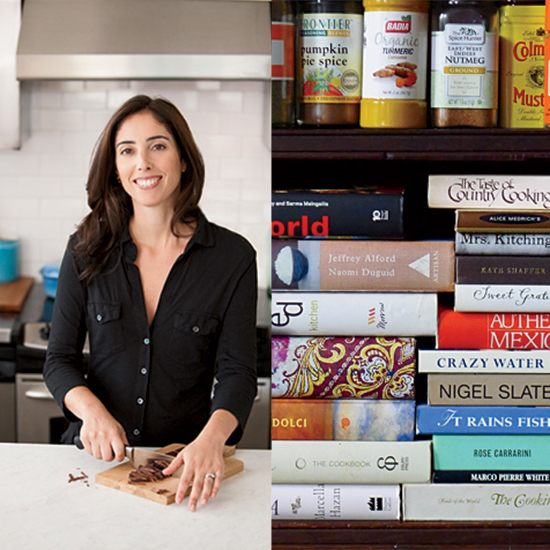 Her first book, with images and recipes from her favorite Sunday Suppers, is due out next spring. Anne's Kitchen • The photos on London-based Anne Faber's blog have a whimsical, ultra-feminine feel, with easy-to-follow recipes for things like red velvet cupcakes sprinkled with hearts. "I want people to feel like, 'Hey, if Anne can make this, I can make it, too,'" she says. That spirit will inform her new television show, Anne's Kitchen, which she is blogging about from behind the scenes. The show will air in her native Luxembourg and feature Anne touring London neighborhoods and cooking British food. "British food has such a bad reputation," she says. "So through my blog and my show, I'm going to make my home country fall in love with it." Cook Republic • Cook Republic seems like it's produced by a staff of 10, but Sydney-based Sneh Roy creates all the content herself. Born in Mumbai, Roy often gives her recipes an Indian bent, like a cilantro chutney. She uses her graphic-design experience to illustrate her posts and pairs images with stories, once describing how her little son sings to bread dough to help it rise. "I want my work to draw people in, like a spider drawing the fly into her parlor, but in a nice way," she says. 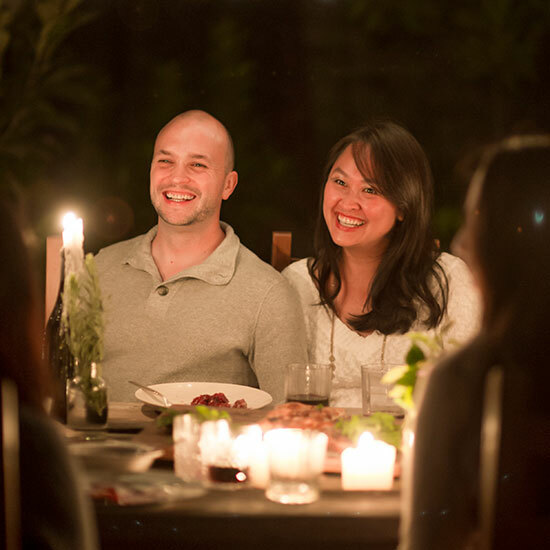 White on Rice Couple • Todd Porter and Diane Cu don't just post recipes; they blog about the parties they throw in their Los Angeles garden. They invite readers to join them, not just figuratively but literally. "So many of our friendships started with a hello on Twitter," Cu says. Like the blog, their forthcoming book, Bountiful, features recipes inspired by their garden and their backgrounds: He grew up on a ranch in Oregon; she was born in Vietnam. "What's funny is, Todd is almost more Asian than me. He cooks with chopsticks and studied Japanese," Cu says. 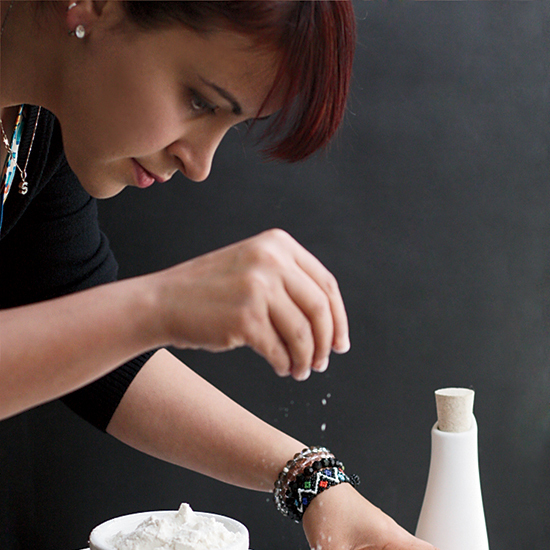 Lemon Fire Brigade • A trained chef, Sarah Bolla now focuses on food styling, but she still finds inspiration at restaurants. For example, a dish at a Peruvian café in Del Mar, California, resulted in her black sesame–dusted chard empanadas. She also checks out the plated dishes on chefs' Twitter feeds. 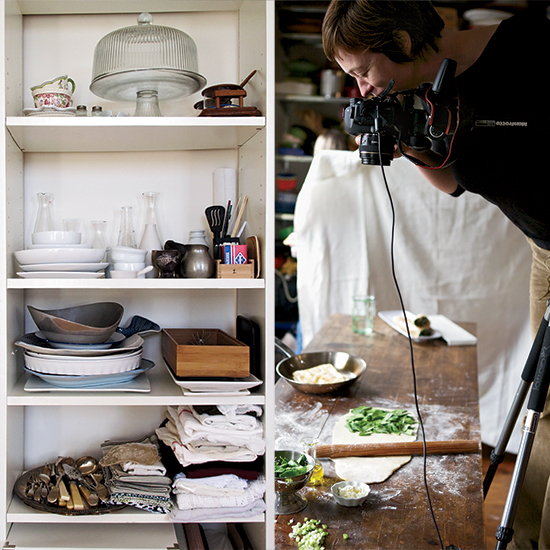 "I'm constantly taking screen shots of composed dishes from chefs around the world," she says. 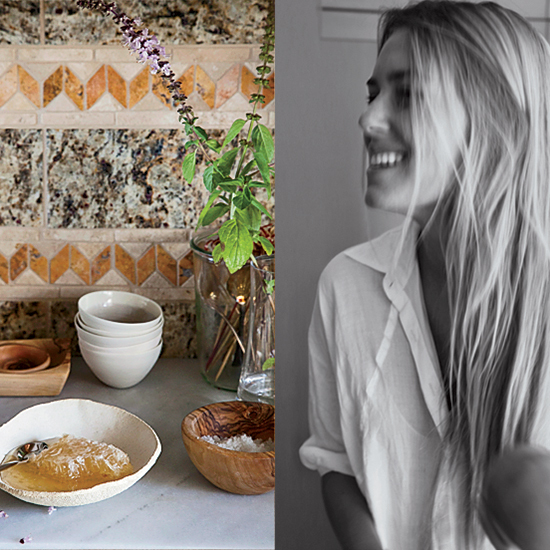 Currently, she is obsessed with earthy, raw, organic pottery and stone. "We all want our plates to look like Noma's," she says. Sophisticated Gourmet • Twenty-one-year-old blogger and burgeoning Instagram star Kamran Siddiqi relies only on natural light for his pictures, a technique he learned in middle school. His blog showcases step-by-step instructions for dishes that any level of cook can prepare at home, with affordable ingredients and very little special equipment. The college student, now based in New Jersey, is also working on a forthcoming cookbook, Hand Made, which will feature baking recipes like his one-bowl chocolate cupcakes. Anja's Food 4 Thought • German-born, Dubai-based Anja Schwerin often blogs about fantastic desserts that use alternative sugars and flours, like almond meal in a breakfast bread and coconut sugar in oatmeal cookies. "You'll also find raw, paleo and vegan recipes," she says. Because of the huge expat community in Dubai, she doesn't have trouble finding Western ingredients. "But I do cook with a lot more Middle Eastern and Indian spices than the average German would ever use," she says. Silvana's Kitchen • Silvana Nardone is one of America's great bakers. The fact that everything she makes is gluten-free is astonishing. The former Brooklyn bakery owner and editor-in-chief of Every Day with Rachael Ray learned that her son Isaiah was gluten- and dairy-intolerant in 2007. She cleared out her pantry and made it her mission to create new versions of his favorite foods, like corn bread and brownies—recipes she shares on her blog and in her book Cooking for Isaiah. She recently cracked the code on sandwich bread: "Normally, my son would come home from school, lift the loaf that was cooling and say, 'Heavy again.' Then, one day, I added every ingredient I'd ever tried. He lifted the loaf and said, 'Hey! It's light!'" Feed Me Phoebe • Phoebe Lapine is an amazing self-taught cook who creates healthy takes on comfort food in her tiny Manhattan apartment. For a quesadilla, she sandwiches a small amount of cheddar cheese with melted leeks and grated carrots; for tacos, she blends avocado with nonfat Greek yogurt to make a healthier version of crema. 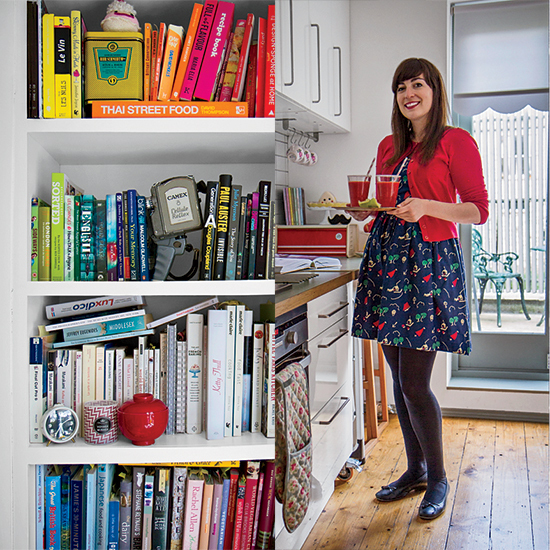 "My philosophy is to eat a lot of good with a little bad," she says. A private chef and culinary instructor, she always teaches her students how to dice an onion properly. "The better they do it, the less they'll cry," she says. "I save people from a lot of tears."